I have just found this very useful guide and thought I should share it with you all. As the title suggests, you can now use FaceTime as a Surveillance System to monitor your home remotely whenever you are away from almost anywhere in the world. The process involves setting up your Mac with FaceTime software installed in a way, that it automatically answers any incoming FaceTime call. 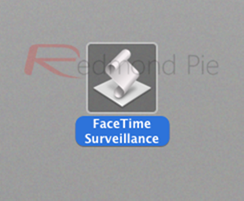 Simply follow the instructions posted below to set up FaceTime Surveillance System on your Mac. NOTE: This guide assumes that your iPhone 4 or iPod touch 4G (using an email address that is different than your FaceTime on Mac) are already set-up for making FaceTime calls. 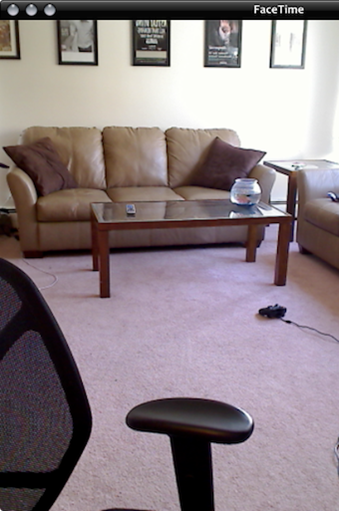 Step 1: Download and Install FaceTime for Mac from here. 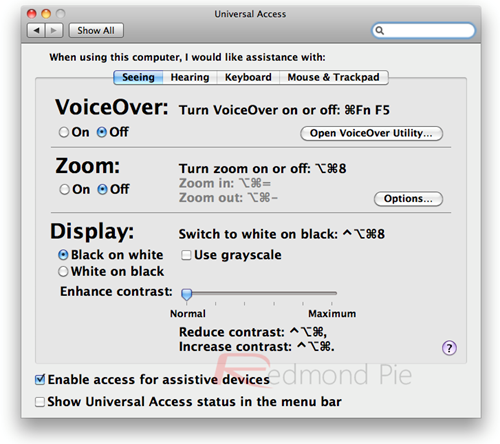 Step 2: Now navigate to System Preferences –> Universal Access and check "Enable Access for Assistive Devices" as shown in the screenshot below. 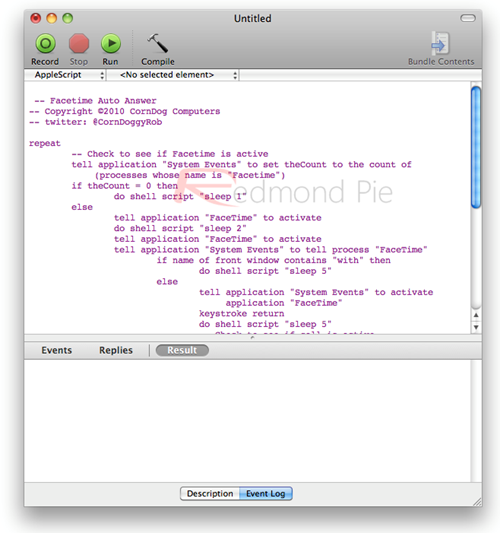 Step 4: Now save it as an application on desktop, and name it something like “FaceTime Surveillance” as seen in the screenshot below. 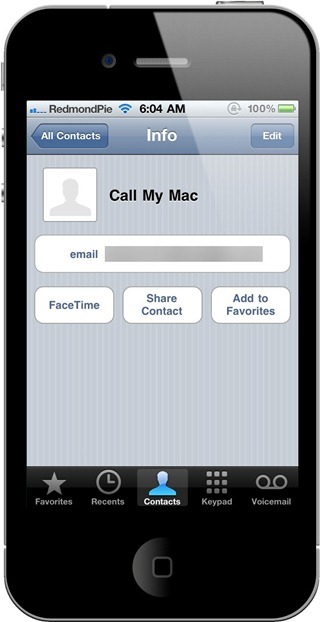 Step 5: Now Start FaceTime for Mac and assign it any personal email address for FaceTime calls that others don’t know. 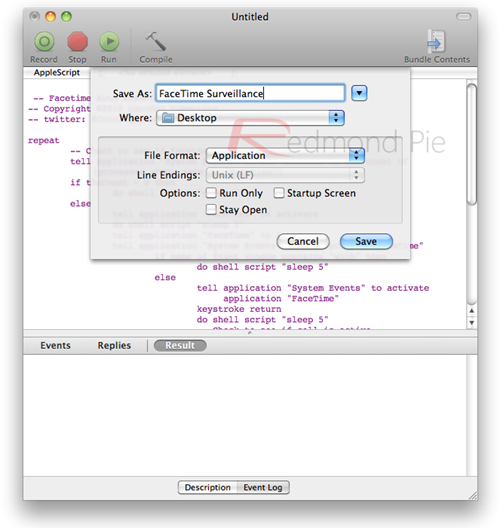 This is important because with this script enabled, your Mac will automatically answer FaceTime calls. So it is important for you to activate an email address which is hard for others to guess. Step 6: Now simply start this “FaceTime Surveillance” app saved on the desktop whenever you want your Mac to automatically answer your FaceTime calls. Step 7: You should now be able to monitor your home from anywhere remotely by simply calling your Mac from your iPhone 4 or iPod touch 4G.